Once we were dead, now we are alive in Christ. Once we lived by the laws of the flesh, now we are are led by the Spirit of God. What a contrast! Death to life. Darkness to light. Earthly to heavenly. Because of the grace (unmerited favor) of God, He has raised us to resurrection life in His Son, so that we would be seated together with Jesus in heaven! When we read today's Scripture passage, many of us think that this is our destiny when we die and go to heaven, but Paul the Apostle is talking about a present reality, not just a 'when we all get to heaven' kind of reality. The spiritual reality of salvation has catapulted us into heaven right now! This is our spiritual position in Christ as we live out the balance of our Christian life here on earth. 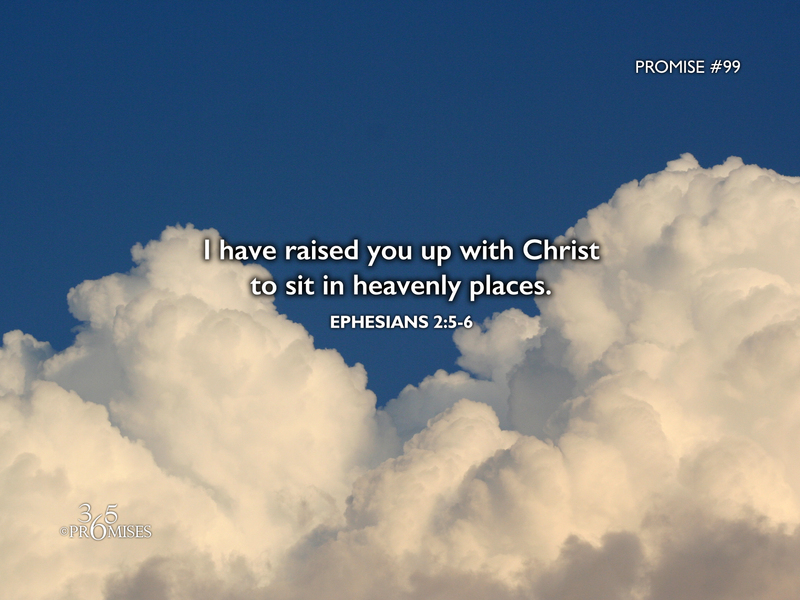 I love how the Amplified Bible tells us that God the Father has given us joint seating with Christ in the heavenly realms. We actually share the same seat as our Elder Brother because we are IN Him! My prayer today is that the Holy Spirit would give each one of us power to grasp the eternal implications of us being seated in heavenly places right now. No matter how dismal or depressing your life might be on earth, the spiritual reality is that your spirit is joined with Jesus in heaven right now.